Millésime Driver offers you its professional VTC services for your transport and travel over all distances for all occasions. A comfortable and luxuriously furnished vehicle is available to carry up to 7 passengers. A quality recognized by several partners and references since 2015. Transfers from train stations and airports. Transport, vehicle delivery throughout Europe. Our male and female drivers all hold a professional driver’s card issued by the prefecture, a first aid certificate and have at least 5 years’ driving licence. Our interventions are made by appointment and at fixed times, we guarantee the anonymity of our clients. We favour an ecological and responsible driving style. Our drivers are equipped with GPS and mobile phones, we have booster seats and baby seats for your children, umbrellas. For even more comfort we provide you with drivers who speak English. Our drivers are serious, smiling and courteous, attentive to your needs. Need a taxi or private driver ? on Bordeaux & Région Nouvelle Aquitaine ? Special driver, very nice, who notifies you of his arrival by text message or call. Very clean car. Nothing to say, I really recommend it. First experience, perfect; return on time and friendly driver. Thank you. Thank you. A big thank you to Madame and Monsieur Daron for allowing me to use their property for the shooting photos of Millésime Driver. Chateau Courtade-Dubuc, 22 Chemin du Jonc 33360 Camblanes et Meynac : www.courtade-dubuc.com. Millésime Driver accompanies all your daily journeys with comfort, seriousness and punctuality. 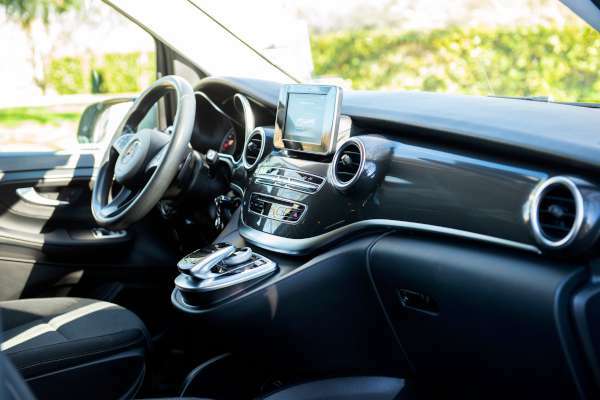 Millésime Driver accompanies you on your trips to and from Bordeaux – Mérignac airport. 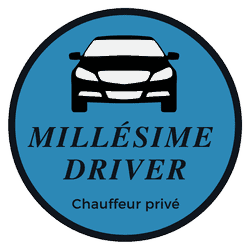 Millésime Driver takes care of your travel to take you to Bordeaux Saint-Jean station or to pick you up when your train arrives. Our beautiful region is known for its excellent wines, let yourself be carried away for a tour of its vineyards and wines. Would you like to organize a trip to the theatre or the opera? Transportation and schedules are no longer a problem, let yourself be transported in comfort to enjoy a most enjoyable evening. The day of your wedding must be perfect, you want to be transported with your family and comfortably for this unique day, Millésime Driver will allow you to enjoy this day comfortably and in complete peace of mind. Millésime Driver is at your disposal as a private driver, discretion, seriousness and comfort will be the key words of a quality service for all your travels. Tour of the golf courses, we are at your service for the tours of the Gironde and Aquitaine golf courses. We organize your group outings for sporting events. Millésime Driver your Professional VTC is at your service, travel and transport of people for all distances. Your independent driver offers you a comfortable and quality service, with discretion and availability for all your travels.